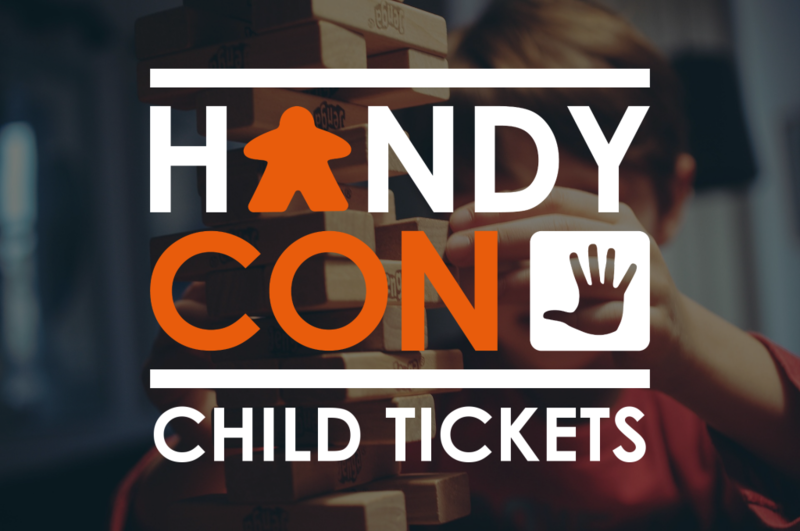 Following feedback at UKGE and after much consideration, we have decided to introduce half price tickets for children between the ages of 6 -15, with children 5 and under being allowed free entry to HandyCon 4 and 5. Please note that all under 16s must be accompanied by a paying adult and remain their full responsibility at all times. Children aged 5 and under do not require a pre-purchased ticket, just to be signed into the event upon arrival. If you have already purchased a full price ticket for a child under 16, please email dansullivan@handycon.co.uk with your order number and the name and age of the child and we will refund you the difference.